Get BitSpotty - Bitcoin Price Chart and Calculator in the App Store! 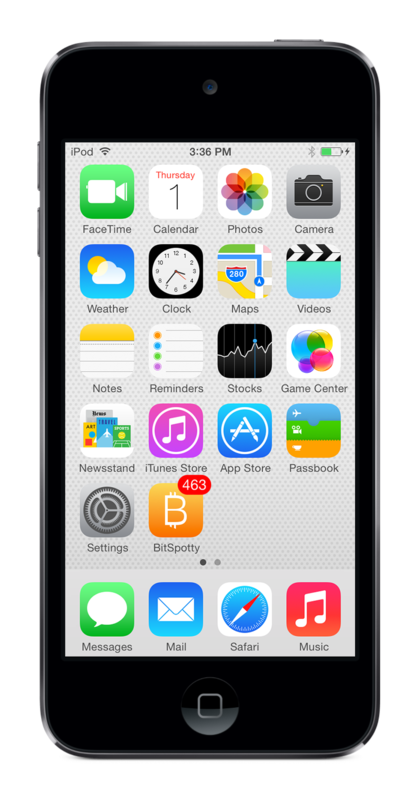 BitSpotty takes advantage of push notifications to show you the current Bitcoin spot price as an application badge. This lets you monitor Bitcoin prices throughout the day without launching an app! Once you open the app, we pull the up-to-the-minute spot price and a detailed chart showing the price trend over the previous 7 days. You will need to launch the app at least once to enable push notifications. Contact us by email at help@hartshorne.ca, or at @bitspotty on Twitter.